Originally published on the UNU-MERIT website, this article is part of the “Gender Full Spectrum” series, which presents research findings from a gender perspective, methodological challenges for researching gender, and topical discussions on gender issues. Boats are floating on the still surface of a bay in Northwest Tanzania. I have come to a village in the Kigoma region to do research on small-scale fishing and the value chain from lake to market. I am here to look especially at the different roles played by men and women, to identify gender-based barriers, and to find ways to upgrade the entire process. It is almost September — which used to be high season here for fishing. This year, however, most of the boats have not been out for some time, so the fish drying racks and smoking kilns are empty. The catch rates are simply too low, say the locals. This time of year, the beaches are normally full of dagaa, a small sardine-like fish, left out to dry in the sun. The dagaa is a popular source of protein throughout the region, and the dagaa from Kigoma is considered to be of particularly high quality, sold in cities across Tanzania and neighbouring countries of Burundi, the Democratic Republic of the Congo, and Zambia. Women play important roles in fishing economies worldwide, although the stereotypical “fisherman” is exactly that: male. This obscures the roles traditionally taken on by women, which are undervalued all too often. Because jobs are often divided by gender, value chain analysis can help us capture not only the economic aspects but also the gender-based division of labour, discrimination, and social impacts of change within the chain. For example, while men dominate the work of fishing on Lake Tanganyika, women take the lead in drying, smoking, and selling fish. 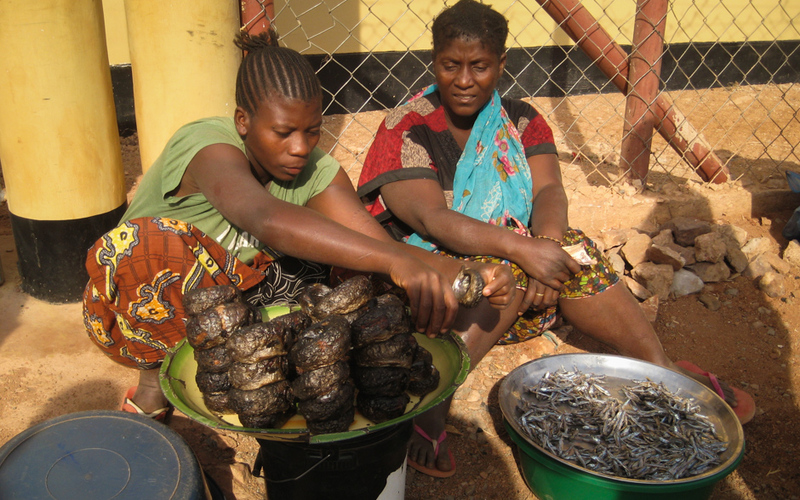 Gender discrimination in the value chains of small-scale fisheries stems from the low value attached to women’s work — a problem further entrenched by their limited access to credit, processing and storage technology and facilities, and training. So, although women play important roles in this sector, they have less access to resources, assets, and decision-making processes, which confines them to the lower ends of value chains and the informal sector in many developing countries. As a result, women are the “first out” when catch rates fall or automatic industrial machinery takes over. 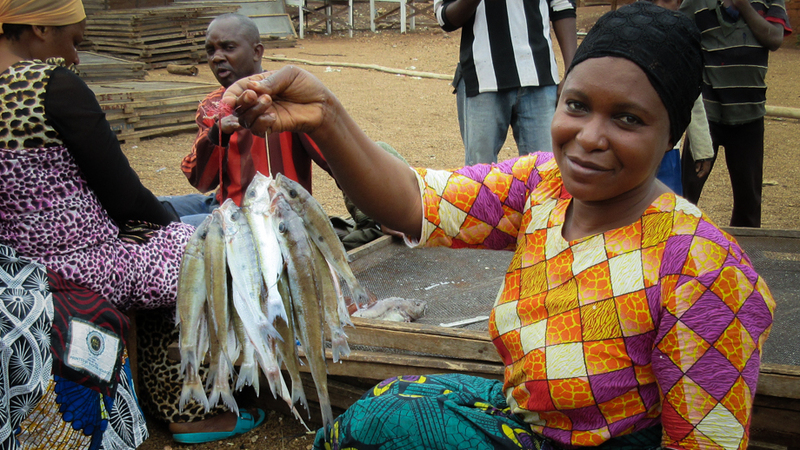 This has already happened along the landing sites of Lake Victoria (northeast of Lake Tanganyika), where technological upgrading, development efforts, and increased privatisation have displaced many women fish traders and processors. Sitting in a tiny brick shack, topped by a corrugated metal roof, I interview stakeholders from a small-scale fisheries value chain in Lake Tanganyika. Outside the shack, the sandy streets are full of life, as motorised taxi tricycles pick up passengers beside a marketplace where women are selling vegetables, tomatoes, and small mounds of dried fish, tidily laid out on display for the passers-by. The shack belongs to the fisheries association in the area led by a successful woman — a woman thriving in a sector generally dominated by men. She has done very well in what can only be referred to as a “man’s world”. Like many successful boat owners and businesswomen in the region, she is divorced. Apparently, the men can’t handle women’s success, especially if they work in other sectors. Today I am interviewing women who cook hot meals for fishermen after returning from a night’s fishing on the lake; and they are among the most vulnerable groups I’m interviewing during my first field research trip. I interview them in private, one-by-one, in the small shack. They explain their situations to me while rocking and breastfeeding their young children, which they have brought to the interview in various coloured fabrics. I am impressed and moved by the resilience of my interviewees in the face of such adversity; but courage only goes so far. They often need outside help. However, if you work in development, you need to understand gender issues inside out; otherwise you risk doing more harm than good. Understanding the functions of the value chain, its socioeconomic relevance to the lakeshore population, as well as internal gender and power dynamics, is key to “sustainable upgrading”. Our Gendered Value Chain Analysis on the shores of Lake Tanganyika, a region marked by extreme poverty yet blessed by vast resources of fish, is a research partnership between the UNU Gender Equality Studies and Training (UNU-GEST) Programme and the UNU Fisheries Training Programme (UNU-FTP) in Iceland. It is the first research project in a series of gender-focused value chain analyses: our latest foray into the complex world of gender, fishing, and development. Pétur Waldorff is a senior researcher with the UNU Gender Equality Studies and Training Programme, the EDDA Center at the University of Iceland, and the Nordic Africa Institute at Uppsala University in Sweden. His research looks at value chain analysis in the context of gender, climate change, and resilience.